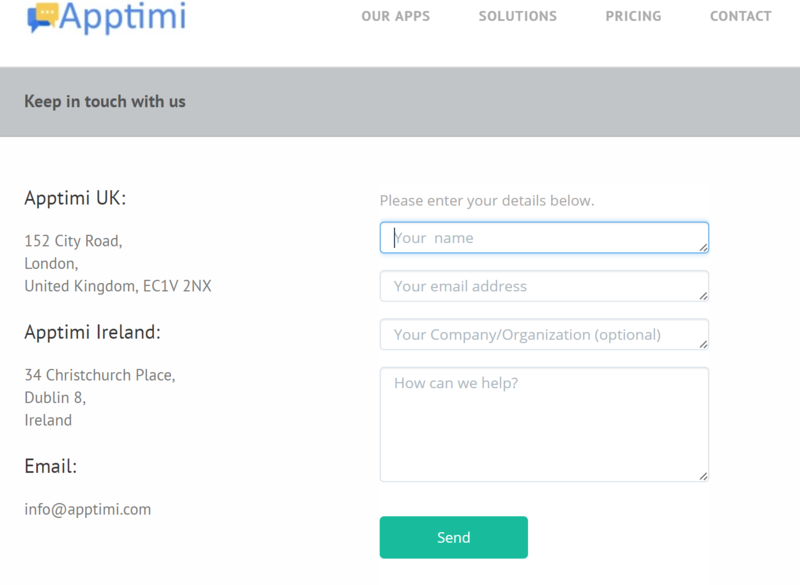 How are other businesses using Apptimi? Our Shared Inbox is a flexible and powerful app that can be used just about anywhere in any business. Connect to your email or facebook account, or add a custom form to manage any data from your team or your customers.. These are just some of the ways you can use our Inbox. Managing Homecare tasks means having the right tools and our Inbox connected to inquiry email addresses or to the Contact us page is a great solution. Create an Inbox for managing your sales inquiries and connect to your sales@ or Info@ or the contact us form on your web site. 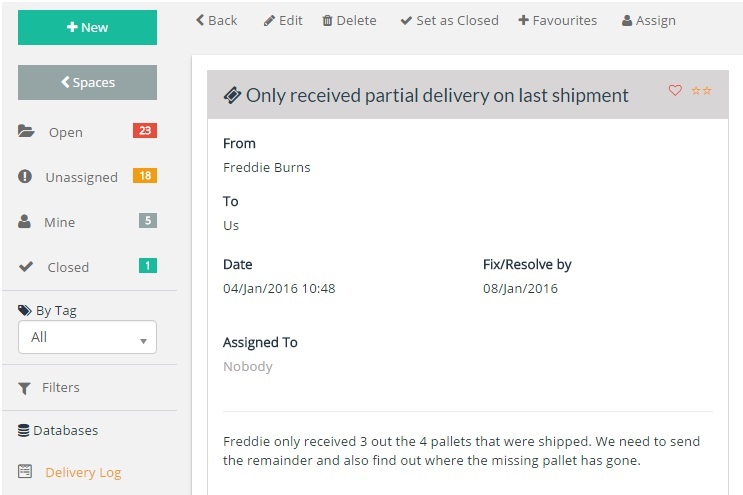 You can use the Inbox along with our great CRM to manage all your customer or carer questions and messages. 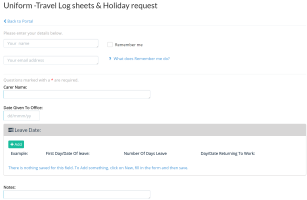 Using our Forms builder you can create any form for travel expenses, time off requests, patient feedback and share these forms online with your carers. When a form is saved we will send it to your Inbox and notify you. You can then approve, reply and ask for more information or complete the request. No more traveling back to the office to fill in forms or sending in paper forms - Everything online and lots of time saved. You can create a job application form and share to your web site so that carers can apply for new positions. All applications are sent to your Inbox where you can reply , add notes and manage the forms. You can allow CV's or Resumes to be attached to the forms if needed. Policies and procedures all part of managing your staff and their interaction with your clients. Simply create and share your policies to all your staff or carers. We make is easy for you to keep your policies up to date and current. We've got a full suite of forms and tools to help you manage your GDPR compliance. From risk assessments, to recording any subject access requests and a fully integrated consent manager, we have everything you need. We have many companies who need to bring their inspection forms online and more importantly, manage these forms once they have been saved. 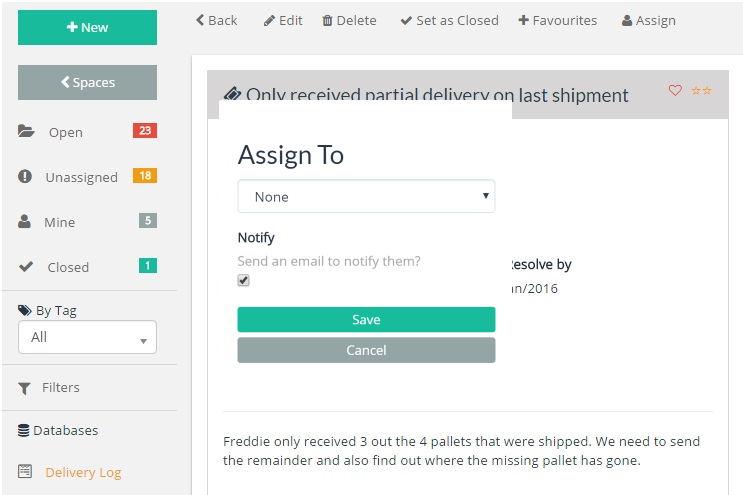 Our form builder let's you create your own custom inspection forms to capture any information you need. From text fields, to dates, photo and document attachments and multiple choice answers. Your inspection team can fill in the form using any device from phones to ipads or laptops and our app will adjust to fit perfectly on the device. Once your inspections form is filled in and saved, we send it to your Inbox where you can manage, request clarification, add notes and finally mark it as complete. All completed inspections are archived with a complete history of your inspection and messages. You can grant guest access to a customer and give them access to individual inspection folders. They can review and audit your inspections at any time. Great for building a strong relationship with your customers. Our Inbox is not just for customers - It's a complete helpdesk with all the tools you need to manage requests from inside or outside your business. Larger businesses can get many HR and IT requests and questions. 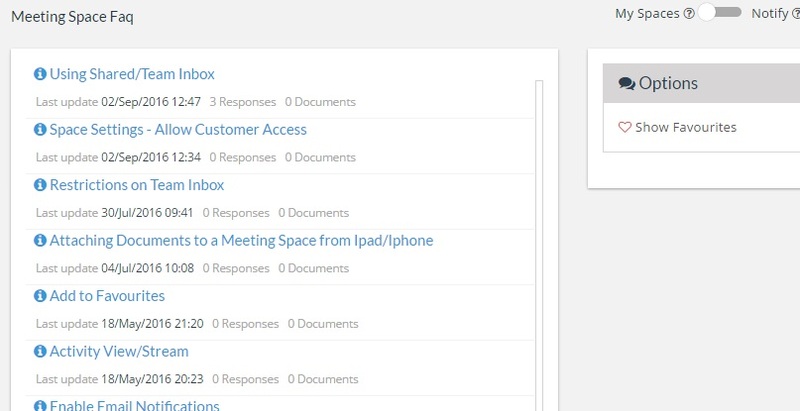 Just create a Helpdesk Inbox and let your staff send requests or questions to your HR or IT team. FAQ's or Knowledge bases are great for providing your teams or customers with answers to questions before they even have to ask. We make it simple to create and importantly, keep your knowledge-bases up to date to the information is accurate. Financial services have to deal with many contractors. 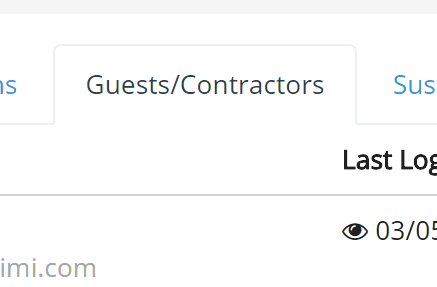 Apptimi can share rate forms, time cards, skills updates and any other forms and share with your contractors through our online portal. You can also share private documents or contracts with individual contractors though our Inbox and record digital signature for receipt verification. 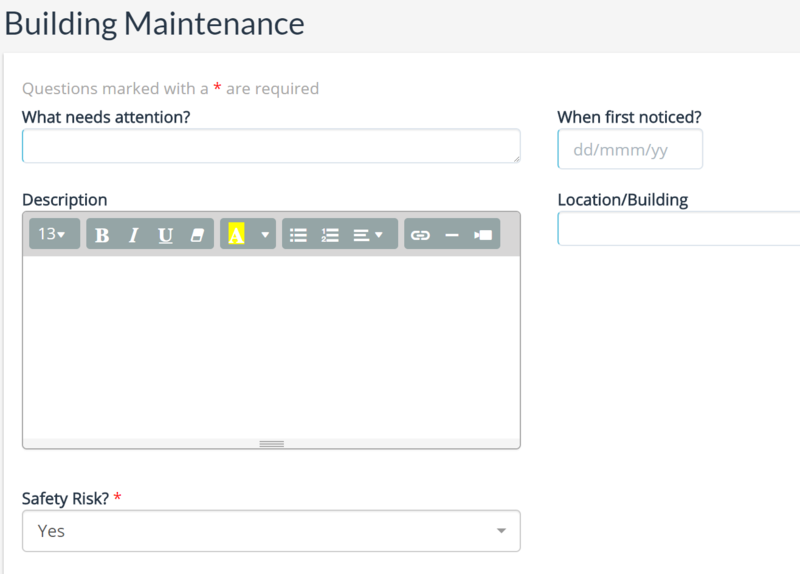 When it comes to managing customers, Apptimi has all the tools you need. From Customer Care, managing your support desk or connecting to your Contact us and Facebook page. 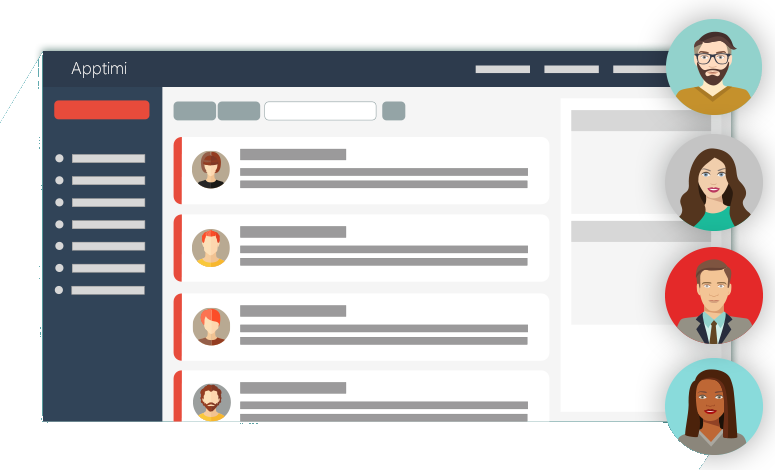 Connect your Inbox to your customer facing email addresses and have any customer questions feed to your Shared Inbox where your team can manage and reply. Now you can see instantly which questions have been responded to and which have not. 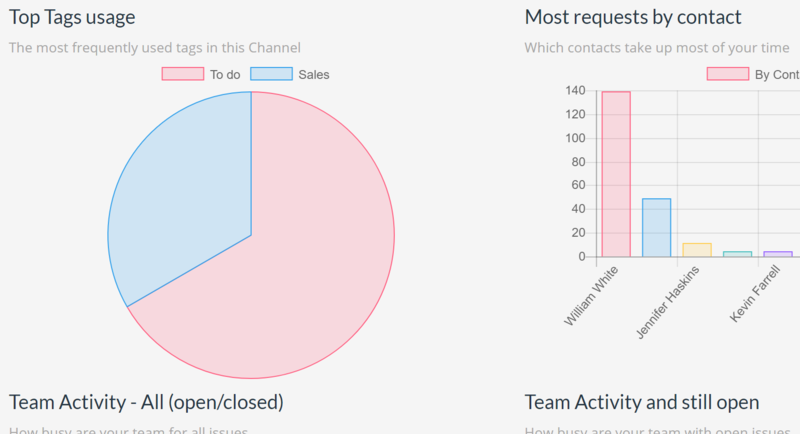 We can connect your Customer Care Inbox to your Contact us page so your team can receive and manage any customer questions or requests. You can create a job application form and share to your web site so that potential employees can apply for new positions. All applications are sent to your Inbox where you can reply , add notes and manage the forms. We've got a full suite of forms and tools to help your manage your GDPR compliance. From risk assessments, to recording any subject access requests and a fully integrated consent manager, we have everything you need. 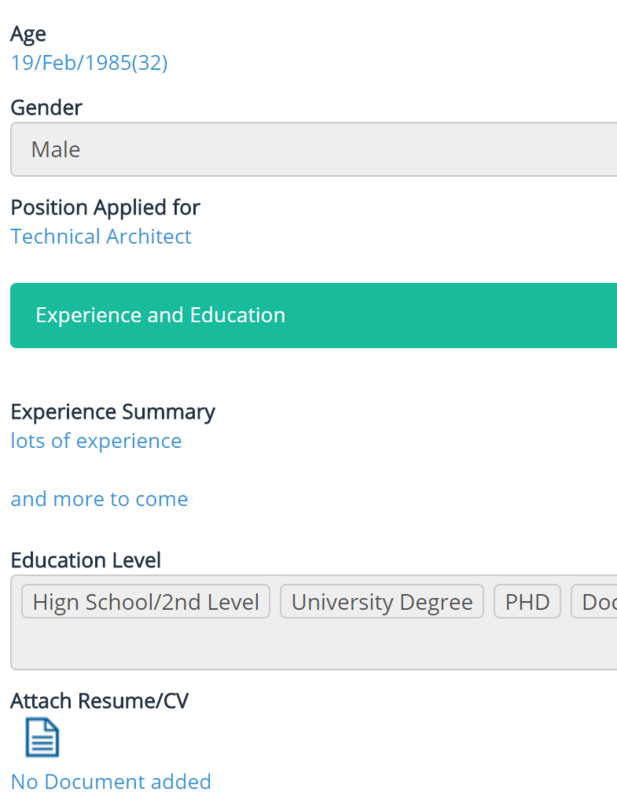 Job or design forms are created using our great form builder. Add the fields (or questions) you need such as dates, text, select list or even attach design or job specifications.